For a Piece of Mind, Take dyer vent cleaning seriously! Can the lint alert prevent dryer fires? This is the question that many manufacturers are asking themselves. No matter how quality your dryer is, there were cases of fire caused by this appliance. One of the main culprits in dryer-related fires is lint. This is creating a fire hazard and also wasting energy. Back pressure in the dryer's exhaust system is always changing which can create numerous problems. Most of these fires is happening in the vents and they are common problem when it comes to dryers. This appliance will detect lint build-up in your dryer duct. 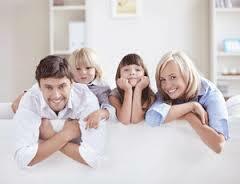 Having it built in you will improve the safety and efficiency of your dryer. Normal Lint Buildup in the Dryer Duct, kinked or Crushed Dryer Connection Hoses, blockage of the Dryer Vent Hood are some of common causes of dangerous airflow restrictions. The Lint Alert is simple to install. LED indicators will show how efficiently your dryer is operating and an alarm will be triggered when airflow becomes dangerous. This appliance is consisted of two parts - the alarm module and Smart Tap fitting which is installed in the dryers’ transition hose and it sends signal to the alarm module. Air pressure at the dryer outlet builds as the blower tries to force the air out which is creating clogging. When this happens, your Line alert will give a visual alert and you will hear a buzzer if the pressure build to dangerous levels. This will keep you safe from fire and keep your dryer functional an safe for use. Having that peace of mind is priceless. Make sure you clean the vents out as instructed before installing the device, then your Lint alert is ready to be installed. 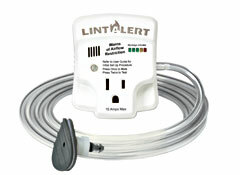 Every Lint alert is consisted of: Speaker Port, Control Button, Pass Through Terminals, Transparent Lens, Blockage Indicator, Hose Barb and the Alarm Module. The continuing research and development in this department will bring new improvements resulting with many products that will take care of your dryer. This is a great safety insurance. As lint builds up in the duct it tells you through a series of lights that it's time for a cleanout. The Lint alert is worth buying just to be safe but it is recommended to clean the dryer duct periodically to prevent any catastrophe happening. The Lint alert should be added as part of every home safety plan. As lint naturally builds up over time, you need to be protected and prepared. 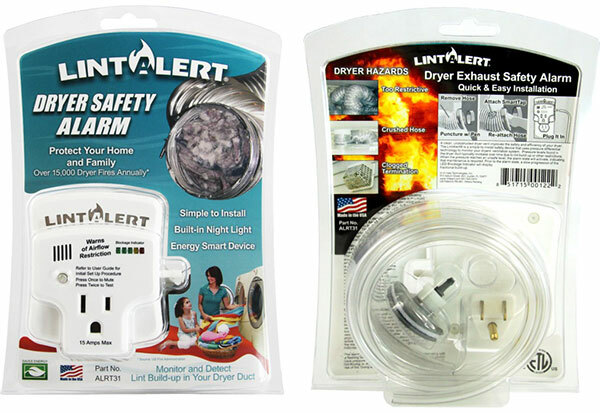 Lint Alert will give you and your loved ones the piece of mind, It alerts you when your dryer vent needs cleaning. At Dust Chasers we are proud to announce that we are an authorized dealer for Lint Alert Toronto, So you can buy with confidence!uy with confidence. Get your lint alert installed with Dust Chasers and enjoy a 5 year labor warranty on us.